Should you wish to travel with your Jupiter Bike on an airline, we have assembled some helpful information to assist in getting the bike on the airplane, and to assure your bike arrives safely and in good condition. It is recommended that you save the box your Jupiter Bike comes in, which provides packing to protect your bike from the scrapes and bumps inherent in any baggage handling. 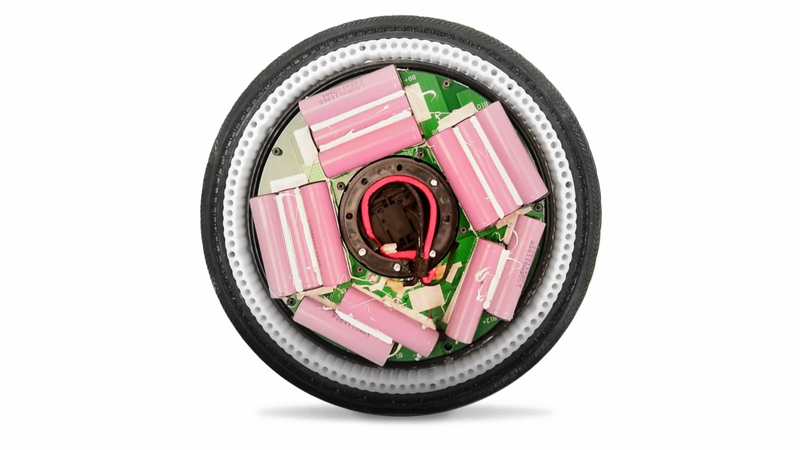 Your Jupiter Bike is powered by rechargeable lithium ion batteries located in the front wheel. There are 13 batteries, each rated at 10.5 Wh (watt hours), well below the TSA maximum of 100 Wh per battery. Keep in mind that the TSA considers the charger to be a battery. However, chargers are permitted in both carry-on and checked bags. Please see this TSA Travel Tip for more information. When folded, the bike measures 16.3" x 20.5" x 6.5", about the size of a pizza box, and weighs 24 lbs, which is too large for carry-on. The box your Jupiter Bike ships in measures 21" x 22" x 9" and weighs 33 lbs, including the charger. 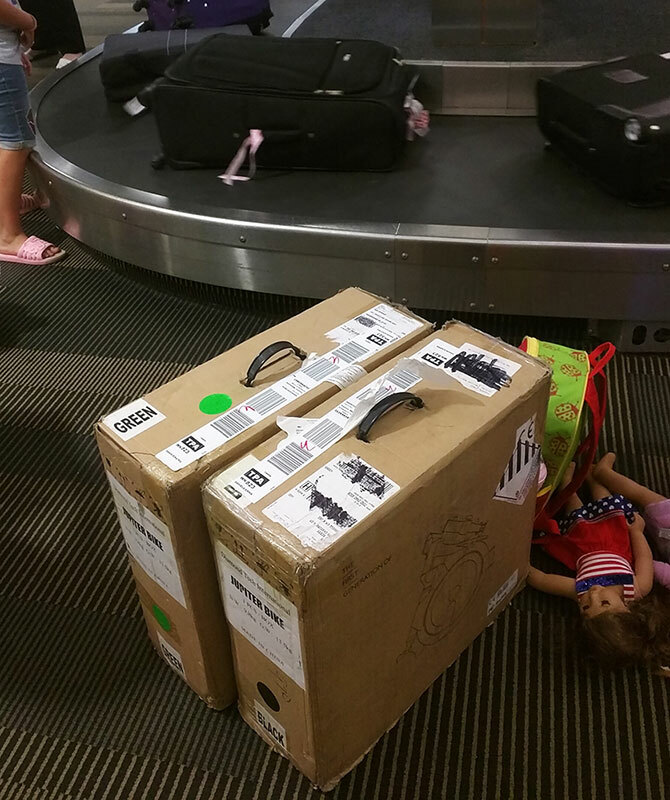 There are two recommended means of transporting your bike as checked baggage. The first is the original shipping box with its styrofoam packing and carrying handle. The second is the Jupiter Bike Rolling Backpack with its telescoping handle. Either will help assure your bike arrives in good condition. These links are to pertinent documentation you may find useful in planning the airline transportation of your Jupiter Bike. We recommend taking a copy of the Jupiter Bike spec sheet and front wheel photo with you to airport security in the event the agents question the batteries configuration. Jupiter Bike does not guarantee that all airlines will allow travel with the bike, ultimately it's at the airline's discretion.